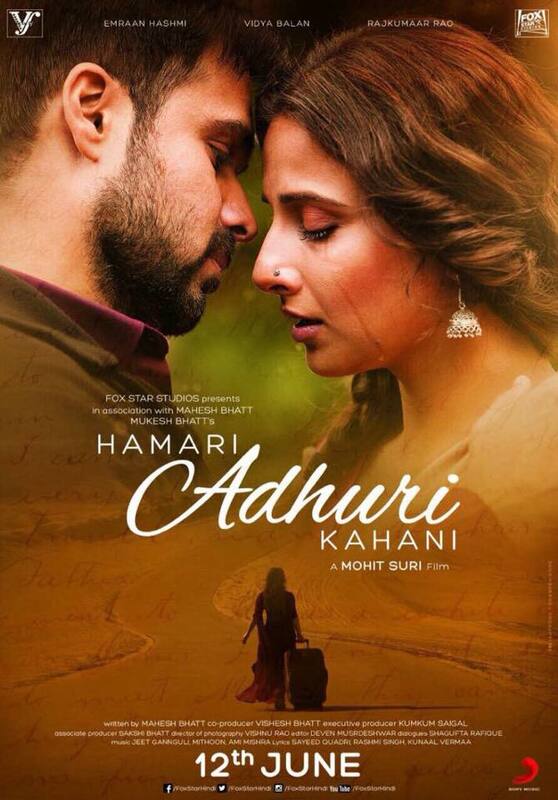 Set to release on 12th June, Mohit Suri’s romantic drama Hamari Adhuri Kahani is a film we definitely have on our lists of flicks to watch this year. Of love and longing… Hamari Adhuri Kahani brings together Vidya Balan, Emraan Hashmi and Rajkumar Rao in an epic love story that redefines Love in the most intense romance of the year. Check out the trailer and the poster!